Writing form: short story, poetry, short essay. The Palace Theatre and Opera House have some upcoming BSL, audio described, captioned and relaxed performances. Call their dedicated access line on 0800 912 6971 or 18001 0844 871 7677 for type talk users. 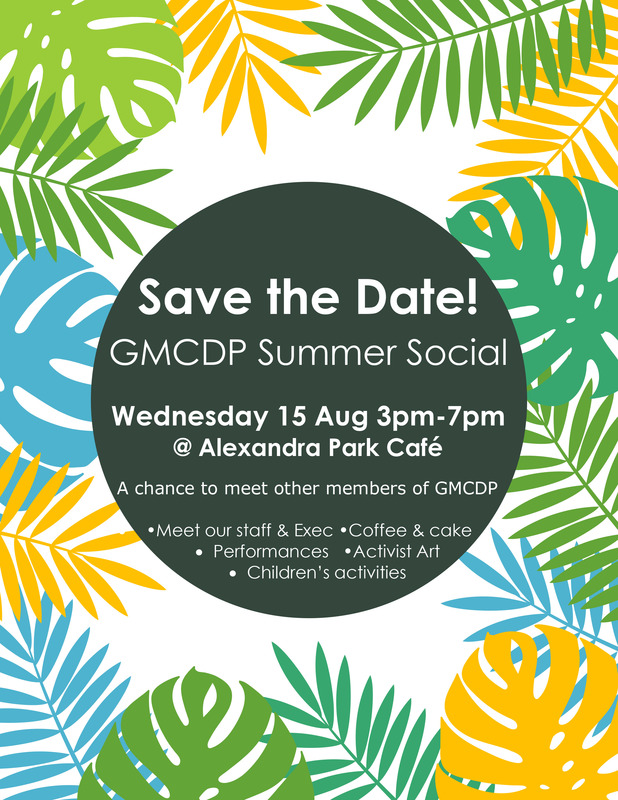 GMCDP is hosting a Summer Social on 15 August. 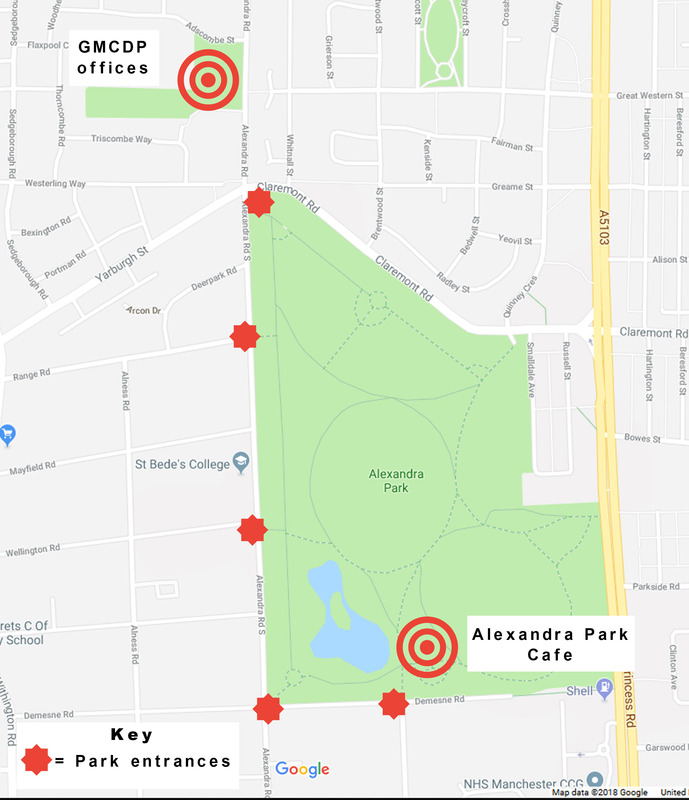 The event will be held at Coffee Cranks Cafe in Alexandra Park (see map below). Inclusive Design - are we nearly there yet? Research by the University of Oxford reveals that half of households referred to foodbanks include a disabled person, while mental health problems affect people in 1 in 3 households. ​Trafford Centre For Independent Living is closing its doors at the end of July. As part of GMCDP's Young Disabled People's Forum project, we'll be running our first zine-making session!